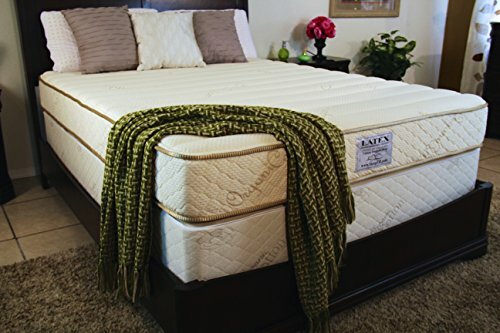 Best Latex Mattress Reviews 2019. Plush Natural Support. 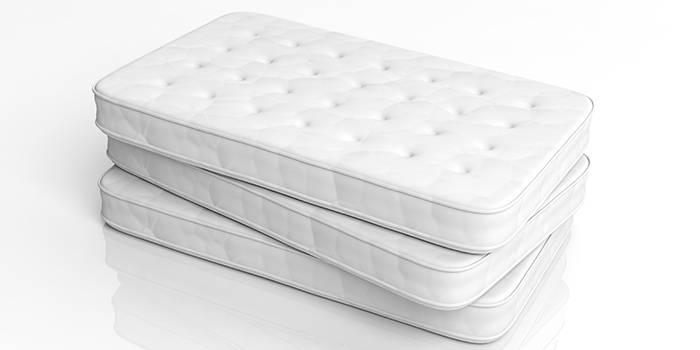 Latex mattresses are best known for their durability, high value, and use of nontoxic materials. In fact, their composition reveals a lot about how comfortable they will be. Some people buy them because of their comfort, satisfaction, and durability. Others because latex is more environmentally friendly, compared to non-synthetic form. With that being said, we have reviewed only the top latex mattresses that we could find on the market today. We are confident that you will like the products that we have featured on this page as they are assessed by us thoroughly, and through our research, we have concluded that what we have picked are indeed the best right now. The broad range on the market makes it hard to find the best ones. You don’t want to end up getting ripped off by an inferior quality bed that doesn’t suit your needs. We’ve done research on the best latex mattress reviews which will hopefully help you find the perfect one. With these factors in mind, purchasing the best one for you will be much easier than you thought. Now, let’s talk about which models are the best for your night sleeping needs. Surely, you'll find something that will thoroughly impress you on our latex mattress reviews page. The Roma is 9 inches and consists of 6-inches of 100% natural Dunlop latex. Its top and bottom feature 1.5 inches of reflex super soft foam. The Roma has prioritized its usability first and foremost; giving you the ability to flip your mattress as frequently or infrequently as you like. This negates the problem of some of them, which is permanent indents where you sleep every night. The Roma is one of the only mattresses on the current market that have managed to include an optional firmness feature in one mattress- without sacrificing on any of the other functions that users want from the item. The top and bottom are reversible, and each has a different level of firmness. While experts say that Roma Natural is not 100% pure latex, it is still a good mattress that can help you sleep comfortably. Also, many reviewers of the Roma have reported that it is quite a heavy piece, which may prove difficult for some users to move around. The Roma is one of the most versatile models out there and the highest rated. The 2-in-1 flip mattress feature makes it an excellent option for those who haven’t quite found one perfect firmness level. You cannot go wrong with this particular product. 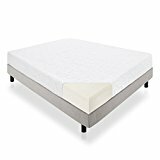 This earns its tag: “Best on a Budget.” It is a thick mattress with a 7-inch high-density polyurethane foam support base and a 3-inch natural latex comfort layer. Memory foam is notorious for being a ‘hot sleeper,' whereas latex is a far more breathable material due to its microscopic cell structure. 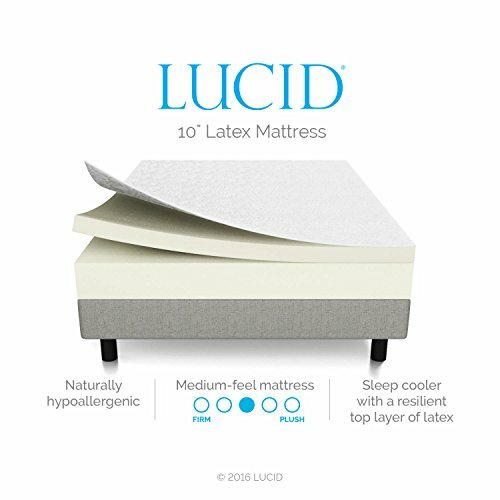 The Lucid 10-inch mattress has taken the breathability of their 10-inch foam to the next level by choosing not only ventilated latex, but they’ve teamed it up with CertiPUR-US foam; a fully certified flexible polyurethane foam that is specially designed to meet strict health and environmental standards. The LUCID 10-inch mattress was designed to retain shape and to ‘sink’ less when compared to memory foam, and many users report that firmness was a major factor in their decision to buy. If reliability is a defining feature- for example, if you are buying for long-term use (for those suffering from illness) or with children in mind, this could be a great buy for you. Previous buyers said that they really liked the firm, supportive construction. Lots of reviewers who had spinal issues or back pain found that it kept them more comfortable than models that sink further in. That’s one big benefit of latex over memory foam. It’s firmer, more supportive, and less likely to soften over time. Only one firmness option. If you’re looking for a softer option, this model won’t be for you. There are reports of this bed molding over time. As long as you keep your room clean, clear and well ventilated there really shouldn’t be a problem, but more importantly it’s covered by the warranty. We’ve rated this mattress as “Best on a Budget” because it is the cheapest option among good beds. You will have excellent features for the lowest price around. Buyers said they were very impressed with the quality of this model, especially given that it’s a fraction of the price you’d pay for a big brand. They said it provided much more back relief than they expected. The Ultimate Dreams Latex Mattress is a 10-inch high-density base foam option designed from 3 inches of Talalay latex (a healthier way of molding latex). 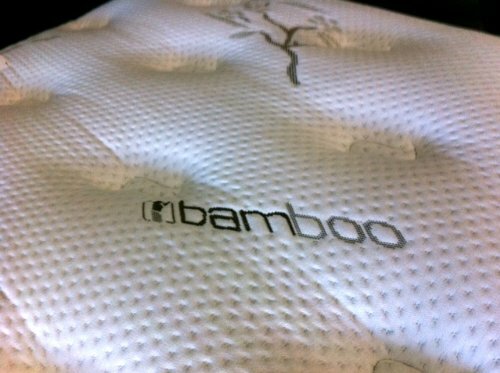 It comes with a 100% Biodegradable Bamboo cover which has 1.5 inches of super soft reflex foam. It also features 5.5 inches of high-density base foam for increased comfort and airflow. The latex form offers soft conforming support reducing your tossing and turning at night. As our number one pick, Ultimate Dreams Latex Mattress is made from a 10 inch Talalay latex layer. This thickness not only makes it incredibly supportive but also brings comfort at night. It is also hypoallergenic, so you don’t have to worry if you have allergies. Customers wrote that they didn’t smell any odors, even when they opened the box. They were especially reassured by the fact that this one’s made in the USA, so the materials are guaranteed to be up to the highest safety standards. Of course, where there are pros, there are always cons. Although we have chosen the Ultimate Dreams Latex Mattress as our best seller, it may not last as long as its competitors down the line. Some users say that this one doesn’t last as long as they would like. A few buyers reported seeing some minor dips over time where they usually slept. That’s fairly typical of memory foams, but it’s less common with latex. You can always extend the life of your bed by flipping it end to end, and spreading out the wear. People are reporting a 6-7 year lifespan with regular use. This is the right choice for those who don’t want to skimp on features or pay an arm and a leg. Don’t let your budget keep you tossing and turning at night. Many previous buyers actually said that having slept on big brand mattresses in the stores, they actually preferred this model. Many people buy these because they are durable, have a high value and are hypoallergenic. As you know, buying the best latex mattress from Amazon isn’t so easy. You will need to equip yourself with enough information. Here is our final thought on who should purchase the top three models we have reviewed above. The Ultimate Dreams is for those who want all the features this kind of bed is known for without breaking the bank. It’s the bestseller for a reason. The LUCID 10 Inch Latex Foam Mattress is the best on a budget and durable. Finally, the R﻿﻿﻿﻿om﻿﻿﻿﻿a is best for those looking for an extremely flexible bed. ​Whether you want to upgrade your current bed, or you’re getting your first, we hope that our research and recommendations have made choosing easier. If you didn’t find what you’re looking for or interested in getting more advice, check out our main best mattress reviews page here.